…AND we just happened to get a week straight of perfectly clear, dry skies during a new moon. A Thursday crowd of 60 at the Crandell Mountain Campground and a Friday group of 120 folks in town (not to mention a few hundred who saw the Sun projected onto an easel on the main street by the local ice cream parlour during the day) got to try out the latest stargazing gear, from GPS starfinders and iPad apps to image-stabilized binoculars and portable camping telescopes. A joint dark sky vacation destination? Visitors who drive through the park gates this summer will get the current season’s park newsletter/paper with a front page headline article about the park pursuing a dark sky designation along with the NPS’s Glacier National Park, which Waterton butts-up against at the Alberta/Montana border. If the designation goes ahead – anywhere from months to years from now – the area would be the world’s first “cross-border” dark sky area. Places to stay include any of the hotels or motels as well as the Parks campgrounds or – if the park is full – accommodations in nearby Pincher Creek to the north. Places to eat that I HIGHLY recommend include Pearl’s for breakfast (try the Orange Ya’ Happy french toast or Happy Hiker breakfast sausage & egg wrap – among the best I have had anywhere) and the “world-famous” Zumm’s fried chicken. Also, be sure to take a cruise of Lake Waterton and if you’re not staying at the Prince of Wales, you can still go there by taking in a meal. 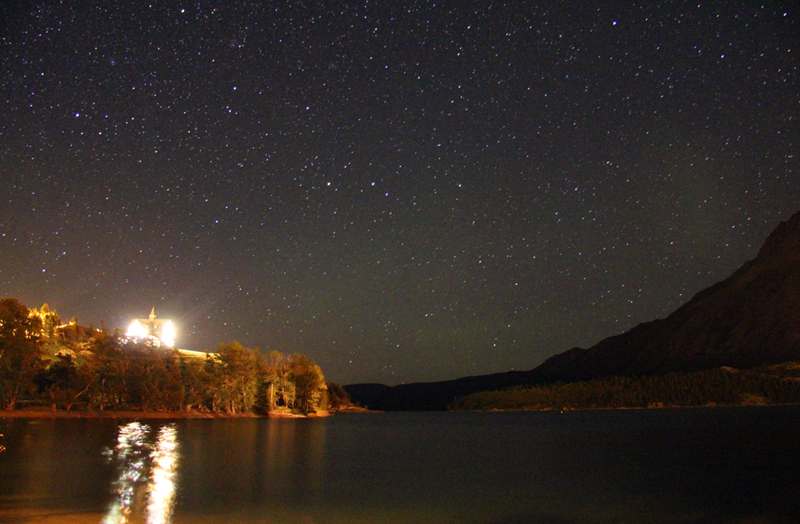 Q: Could this be the world’s first cross-border dark sky park? 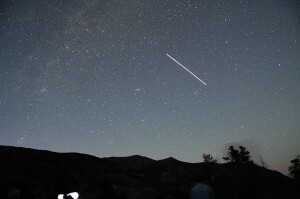 The first cross-border dark sky park is Izera Dark Sky Park in Europe. Back then, there really weren’t more than 5 or 6 DSPs in the world, and none were outside North America. 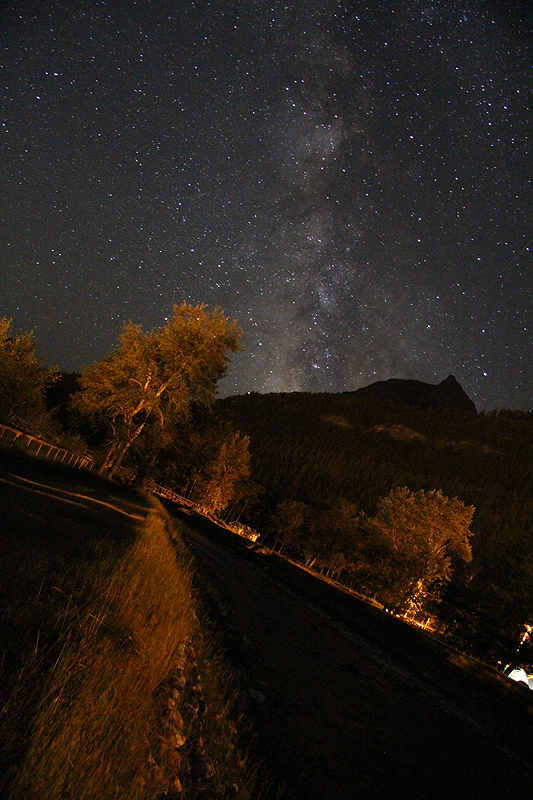 While Waterton and Glacier could be the first North American dark sky area across the Canada/U.S. 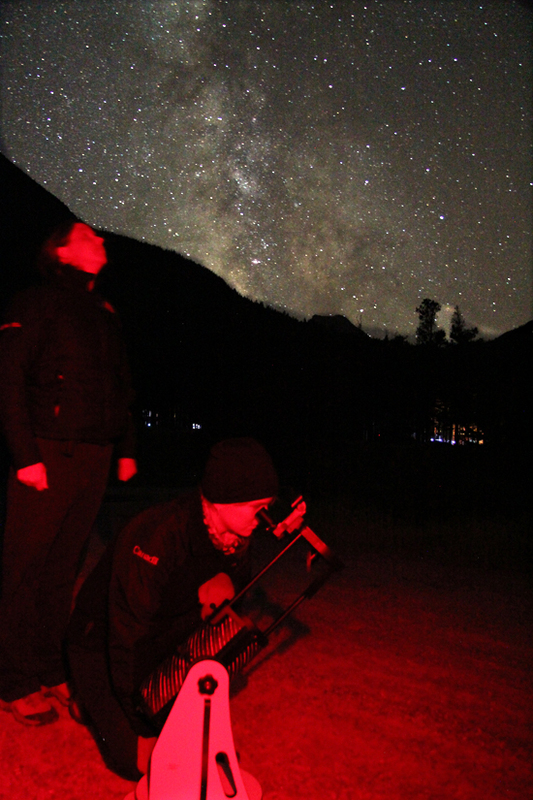 border, Izera Dark Sky Park is indeed the first dark sky park across two national borders!